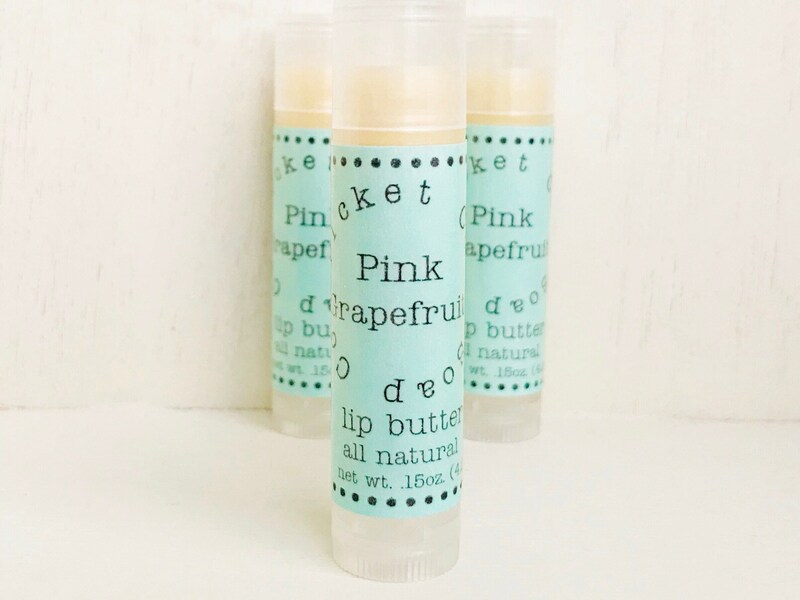 All of Cricket Cove Soap Co.'s lip butters contain no artificial ingredients including no artificial coloring or flavoring. They are created to nourish, moisturize, and soothe. There are no jellies, oils, or waxes that will leave a film on your lips and prevent moisturizing, natural ingredients to be absorbed into your lips. 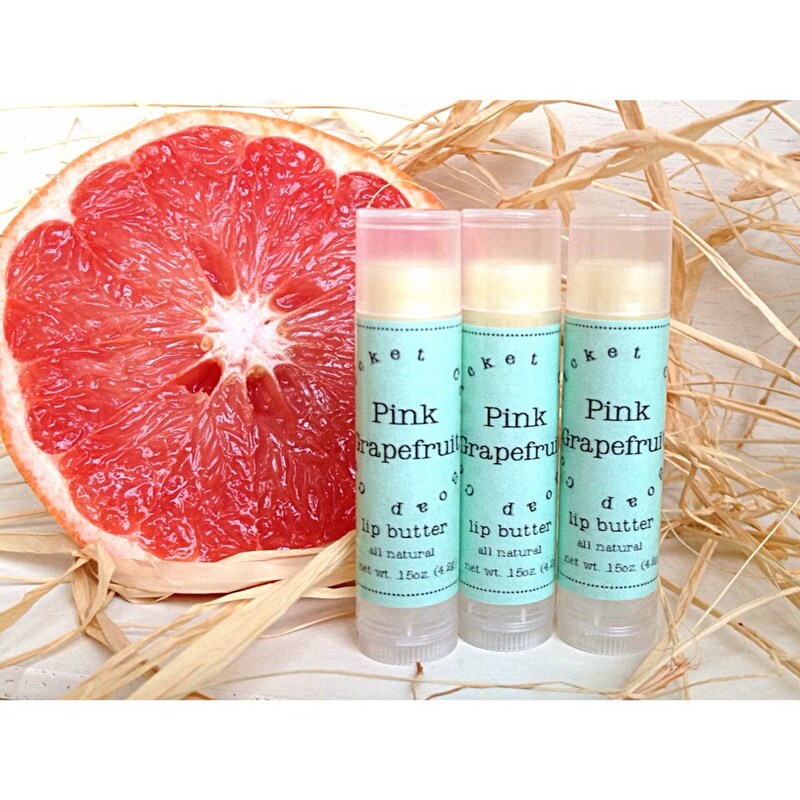 Pink grapefruit essential oil gives this lip butter an invigorating and fresh citrus scent! 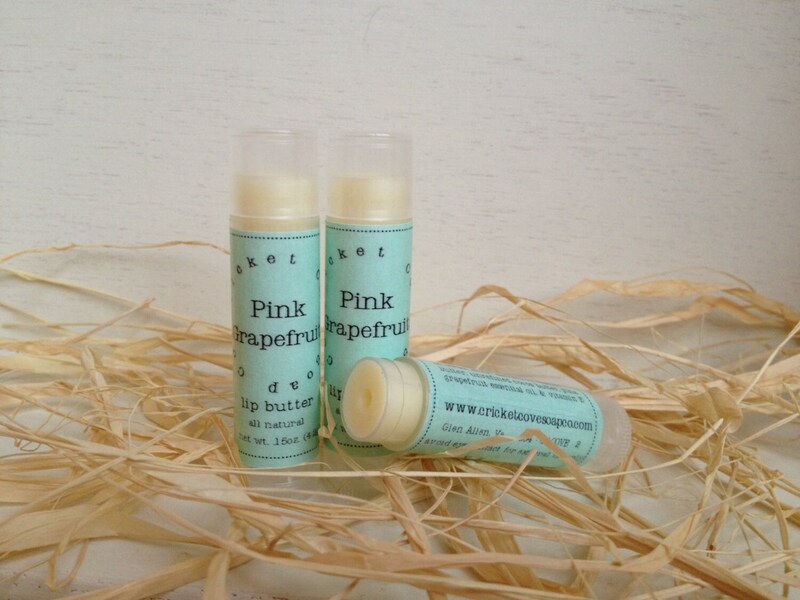 Lip butters are made in small batches to insure freshness and quality. Being that the lip butters are all natural with no preservatives added, they are best when used within 6 months of purchase. This listing is for one lip butter - net wt. .15 oz.